According to a survey by Zooplus magazine, almost two thirds of owners believe their cat to have a sensitive stomach. Like people, different cats have different dispositions. Their sensitivity could be mild, or could actually be an intolerance to certain ingredients. A sensitivity or intolerance might manifest in loss of appetite, vomiting after food, diarrhea, or changes to their skin and fur. Luckily for kitties, petcare companies have them covered. Experts have spent years developing specially tailored sensitive stomach cat foods. These foods are formulated to avoid common allergens, with different brands tailored to different allergies. With so many different options on the market, figuring out which one is right for your cat can be an overwhelming task. That’s why we’ve put together this buying guide – a compilation of the top 10 foods available right now. Whether you’re looking for a wet cat food for sensitive stomachs, or a dry food, we’re confident there’s something on our list your feline will love. We’ve also taken the time to answer some common questions about sensitive stomachs, and what owners can do to treat them. 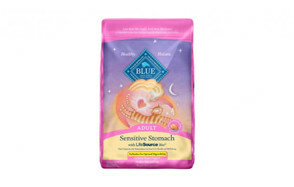 Starting off our list is this sensitive, all-natural blend, formulated by pet experts Blue Buffalo. Their chicken and brown rice dry food is made with a protein rich chicken base, enriched with whole grains, fruit and vegetables. The formula also contains Fos Prebiotic – a mixture designed to support the good bacteria in your cat’s stomach, helping to promote digestive health and nutrient absorption. Alongside these nutritious ingredients, a carefully crafted mixture of vitamins, minerals, and antioxidants support your kitty’s overall health. Blue Buffalo are proud to say that their formula has been developed with the help of veterinary professionals, to making for a holistic approach to nutrition. This food can be enjoyed by any healthy adult cat, but is especially good for cat sensitive stomachs because it is free from many common allergens: meat by-product meals, corn, wheat, soy, and artificial flavors and preservatives. The next formula to make it onto our list is Hill’s. Their scientific approach has resulted in a meticulously researched blend, developed to keep sensitive stomachs settled, while improving skin and coat health. The formula features an egg and rice base, offering a protein source that’s easy to absorb hence gentle on the stomach. This dry food also contains a unique blend of omega-6 fatty acids, to promote healthy skin and coat, along with vitamins C and E, to support the proper functioning of the immune system. An additional vitamin mixture offers cats the complete nutrition they need. Like all foods designed for felines with sensitive stomachs, the blend is free from artificial colors, flavors, and preservatives, as well as soy. 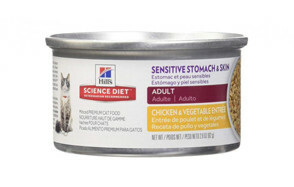 With this science diet, sensitive stomach cats can find a new happy and healthy lease of life. Purina are a household name when it comes to pet food – and for good reason. Their products are made to a consistently high quality, and their gastrointestinal cat food, suitable for sensitive stomachs, is no exception. The formula is available in three different flavors: grain free turkey, herring and rice, or lamb and rice. Whatever your cat’s taste, Purina have you covered. The grain free option is also a great option for cats who are sensitive to ingredients such as corn, wheat, or rice. Real meat is the base for each of these blends, meeting cats’ need for a high protein diet. Alongside the meat is an easily digestible rice and oatmeal bled, containing prebiotic fiber that helps support good bacteria in the digestive tract. Meanwhile, antioxidants in the food promote a healthy immune system, and an additional vitamin formula ensures all your cat’s nutritional needs are being met. Cats with sensitive skin will benefit too, thanks to the inclusion of omega-6 fatty acids. Owners say that even fussy cats love the taste, and say that it may well be the best cat food for sensitive stomach, diarrhea included. The first wet food to earn itself a spot on our list is this tasty recipe by Holistic Select. 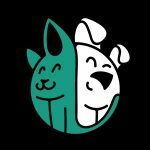 For over 10 years, they’ve developed pet foods featuring all natural ingredients, designed to work in harmony with cats’ natural digestive systems. Their sensitive formula is free from grains – a highly common allergen among cats with fickle stomachs. The recipe consists of a tasty pâté, blended with premium chicken protein, and no overly processed by-products. Along with quality meat, the formula contains a healthy mix of natural fiber, vitamins and minerals, and prebiotics. All these nutritional puzzle pieces combine to give cats the balanced final product they deserve. By creating a formula that’s easy on the digestive system, Holistic select also manages to support the 70% of a cat’s immune system which resides there. As well as being grain-free, the sensitive formula is also free from artificial colors, flavors, and preservatives, and also soy. Purina have nabbed their second spot on our list with their gentle ‘Cat Chow’. Designed for adult cats who need a little help with their digestive tract, the blend is formulated with an easily digestible turkey protein base, alongside other vital nutrients. Each serving provides cats with all 25 of the essential vitamins and minerals they need to maintain optimum health. As well as this, the formula natural prebiotic fiber further promotes digestive health by supporting the good bacteria in your cat’s stomach. Pruina’s recipe is free from the artificial flavors and preservatives that might set off sensitive stomachs, too. Customers say that cats love the taste of this balanced and budget-friendly food option, which prevents the regular vomiting that afflicts some cats. The next sensitive stomach cat food formula to make it onto our list is Royal Canin’s carefully blended offering. It’s formulated with an easily digestible protein base, alongside prebiotic fiber designed to nurture the good bacteria in cats’ digestive tracts. As well as this, the blend also contains essential vitamins and minerals that cats need to maintain their overall health, so you can rest assured your feline friend is getting everything they need when they chow down on Royal Canin’s recipe. 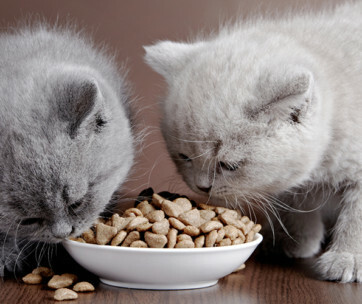 Overall, the light and gentle blend helps cats keep their food down, and maintain a regular digestive rhythm. 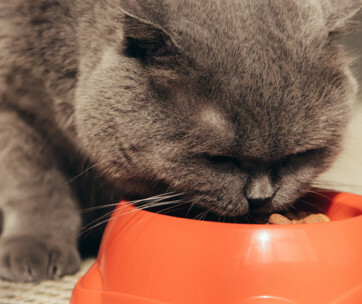 Owners say it’s perfect for cats who are prone to throwing up after meals, as well as fussy eaters who might turn their nose up at other diets. Making their second appearance on our list is Hill’s, with their specially formulated wet cat food. The recipe is ideal for cats struggling with both a sensitive stomach, and sensitive skin, since food intolerances can often manifest in the form of skin conditions. Available in two tasty flavors – chicken or tuna – the blend is based around light, easy to digest proteins that still leave cats feeling satisfied. Alongside this chicken or tuna protein, the recipe contains an exclusive blend of omega-6 fatty acids, along with some other nutrients, developed to nurture cats’ skin and fur for a lustrous and healthy appearance. A mixture of vegetables provide cats with other essential nutrients, such as vitamins C and E, which help promote a properly functioning immune system. The food is also free from artificial colors, flavors, and preservatives – instead, natural flavours tempt your cat to eat the tasty yet gentle formula. The food is also free from grains and soy, eliminating some of common allergens which could be irritating your cat’s stomach and skin. Halo have developed this natural food blend with the specific goal of providing superior digestibility, without compromising on nutrition. They have achieved this with a recipe based on real, unprocessed meat and fish, combined with a selection of non-GMO vegetables, fibre, and omega-6 fatty acids for a healthy coat. This unique blend means the food is far easier to digest than the leading pet food brands, and perfect for cats prone to digestive issues such as vomiting and diarrhea. With so much of the food available for absorption, you should notice less frequent, drier feces over time. As Halo say, “the Proof is in the Poop”! Halo are also committed to animal welfare, and never use factory farmed meat – this means no animals raised with growth hormones and antibiotics make it into their final products. The recipe even comes with a money back guarantee – if your cat doesn’t love it after 14 days, you’ll be refunded no questions asked. The next cat food for sensitive stomachs to make our list is this limited ingredient recipe by Instinct. Available in either turkey or rabbit flavor, the formula is deliberately limited to a few simple ingredients, making it easy to cut out allergens from your cat’s diet. This dry food is free from: grains, dairy, eggs, chicken, beef, fish, sweet potato, chickpeas, corn, potatoes, wheat, or soy. The recipe is also free from artificial colors and preservatives, so you can rest assured it’s all natural. Instead of these common cat food ingredients, Instinct’s blend is based on light and easy to digest cage-free turkey meat. This meat provides cats with all the protein and essential amino acids they need for a healthy lifestyle. To provide the other nutrients cats need, the recipe also features peas, which contain a variety of vitamins and minerals. Instinct’s unique and simple formula is one of the best cat food for sensitive stomach, vomiting, and diarrhea on the market. 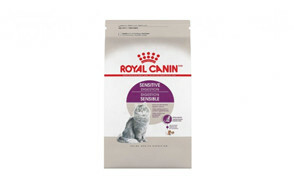 Last but not least is Royal Canin, making their second and final appearance on today’s list. This wet food recipe is ideal for cats with sensitive stomachs, without compromising on rich flavor. Royal Canin’s formula features thin slices of chicken and pork, served in a tasty gravy. It provides the perfect blend of protein, fats, and carbohydrates that cats need, without being too rich for delicate constitutions. Alongside the easily digestible protein, the food also contains a mix of vitamins and minerals, developed to promote overall health in your cat. Among these nutrients are B vitamins, for energy levels and a healthy metabolism, and the antioxidant vitamin E. Owners report that even picky cats enjoy the taste and texture. It’s great for sensitive stomachs prone to throwing up and litter box problems. Among these 10 options, we think you’ll find the best cat food for sensitive stomachs available right now. Whatever it is that sets off your cat’s sensitive stomach, we’re confident that you’ll find a food solution here. To help promote and maintain a healthy digestive system for your cat, we’ve also answered some commonly asked questions about what can cause sensitivities, how you can help your cat at home, and when to seek the advice of a veterinary professional. How Can you Tell If Your Cat Has A Sensitive Stomach? If one or more of these symptoms persists for more than a few days, a food intolerance or allergy could be the culprit. Bear in mind that intolerances and allergies are not the same issue: with an allergy, the presence of the allergen triggers an immune system response, whereas an intolerance does cause an adverse reaction, but the immune system is not involved. 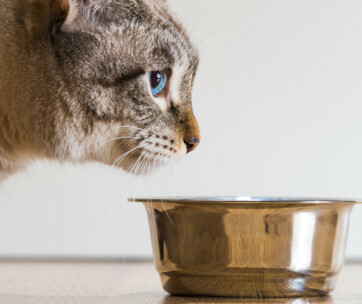 If your cat is avoiding food and water, when they would usually eat and drink happily, a sensitive stomach, intolerance, or allergy could be at play. It’s also a good idea to weigh your cat; this allows you to work out whether they have lost weight recently. If any of the symptoms above are severe, or continue for more than a few days, take your cat to the vet as soon as possible. Frequent diarrhea and vomiting can lead to dehydration, and disastrous consequences for cats. If your vet also suspects a food allergy or intolerance is the root cause of your cat’s issues, they will be able to perform a sink test or endoscopy. Follow the treatment your vet prescribes as closely and consistently as possible, and don’t be scared to ask for clarification if anything doesn’t make sense. If your cat is only experiencing milder symptoms, and a trip to the vet would be very stressful for them, you could try altering their diet yourself before you resort to professional diagnosis. For best results, try switching to a food with limited, high quality ingredients, featuring a protein and carbohydrate that differs from their regular food. Observe the results over a 12 week period. If symptoms persist, or worsen at any point during the trial, seek advice from a veterinary professional. For cats with a food intolerance or allergy, switching to the right brand of sensitive food means removing the offending trigger from their diet. For cats with other digestive issues, these sensitive diets make digestion easier. When food can properly pass through your cat’s digestive system, they will absorb all the nutrients necessary for their health, and be far less likely to throw up. Finding sensitive stomach kitten food is a slightly different issue, however, as most adult cat foods are unsuitable for them. If your kitten develops diarrhea or is regularly vomiting, take them to the vet’s as soon as possible. In the meantime, fast them for up to 24 hours to allow the symptoms to allay, and consider feeding them a bland diet of poached chicken. Your vet will be able to give you more advice and identify the root cause. What Causes a Sensitive Stomach for A Cat? Stomach bugs, whether viral or bacterial. Bacterial infections may need to be treated with antibiotics, so it’s a good idea to consult your vet. Dietary indiscretion (cats eating something they shouldn’t have). Parasites, such as worms. Luckily, getting rid of these parasites is as simple as using the correct worming medication. Excessive shedding or grooming can result in hairballs, which could be the symptom of another problem. To help prevent hairballs, brush your cat regularly. Inflammatory bowel disease (IBS). IBS can be identified at the vet’s with a biopsy, and treated with a hypoallergenic diet, and sometimes suppressing the immune system in more severe cases. How Do I Stop my Cat Vomiting After Eating?